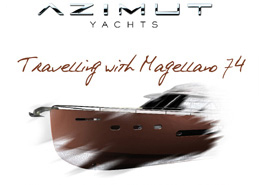 Azimut have got this fantastic odyssey under way! weather added to the equasion will make for a very exciting voyage! the Magellano odyssey to begin! 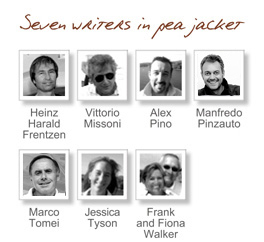 Well, after many months of arduous planning, Dag and the team from Azimut have got this fantastic odyssey under way! The apprehension and fear that this may not come off was for me very worrying, a project of this magnatude is something that I have wanted to be involved with for a very long time, not to mention the chance of being one of the first people to go to sea on this totaly new and innovative vessel. I am under no illusion that this voyage is going to be testing, a brand new vessel will always present new challanges and as Magellano develops her own personality and traits, the unpredictability of the weather added to the equasion will make for a very exciting voyage! I feel honoured and privilaged to be involved with Azimut, and look forward to sharing my thoughts over the next month. I cannot wait for the Magellano odyssey to begin!